Customers and clients ask us daily for tips and ideas for card messages. Believe it or not, that part is harder for most people than picking out the flowers they want to send. 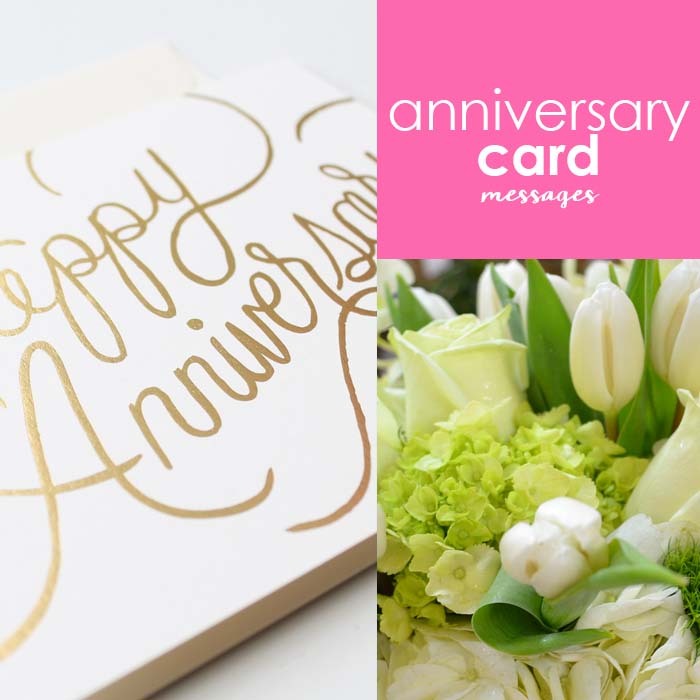 Conveying personal emotion and sentiment in a card can feel difficult, especially during a special occasion like an Anniversary. Happy [20th] Anniversary! Can't wait for  more! Time flies when you are having fun, and it has been a blast being your (wife/husband)! Anniversaries come and go, but our love will always be constant. I'm so lucky to have you and your love. Thanks for putting up with me for another year! I can’t imagine where I’d be without you...probably dead. No matter what happens, I know I can depend on you. That’s probably why I do so many stupid things. On this day, I always remember how much I love your forgiving nature. Happy Belated Anniversary! Forgive me? I wish we had gotten married earlier, just so I could enjoy my amazing wife/girlfriend even longer. Having a wife like you is a dream come true. You are so great, and deserve a great husband. Thanks for loving me even though I’m not perfect. You are tough at the right time, and sensitive in the right ways. Thank you for being my rock. You always make me feel love. I respect you deeply. Happy Anniversary to the man I want by my side for the rest of our lives. No one else in the world understands me the way you do. Thank you for sharing this life with me. Thank you for [thirty] years of love, joy, hopes, dreams, family and friends. I couldn't imagine doing it with anyone else. Happy Anniversary! Happy Anniversary to my partner and best friend. If I had to do it again, I'd still choose you. A year seems like a day when I’m with you. Happy Anniversary. Whether you’re short and sweet or long and elaborate, it should come from the heart. Happy composing!